In the new issue of Entertainment Weekly, which hit newsstands and my mailbox yesterday, Managing Editor Jess Cagle notes in his editor’s letter that the magazine celebrated its 20th birthday this month. It’s a significant milestone, and even though my only connection to the magazine is as a reader, I still feel like celebrating. In fact, I’ve been an EW reader since that very first issue in February 1990, and have read every single issue mostly cover-to-cover (all 1,092 of them). Do you pay attention to your press? My husband is a Google Alert guy. He has one on himself and me. I’m like, Dude, I don’t want to know what people are saying. So I just wanted to test that out. If you’re reading this, Kevin or Kyra … Hi there! How’s it going? 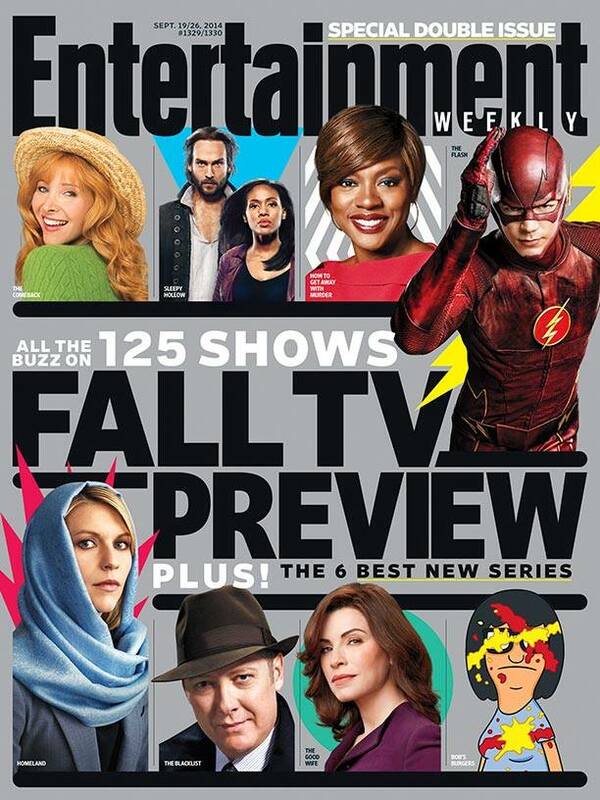 Entertainment Weekly is out this week with its 1,000th issue. 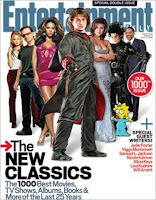 It’s a double issue, so it’s really the 999th and 1,000th, but the point is, EW has put out that many issues. And what I think is pretty cool is that I’ve read every single one of them just about cover to cover. One thing I’ve come to really like about traveling is that it gives me a couple hours to get deep into whatever book I’m reading. For as long as I’ve been an active reader of magazines, I’ve been a fan of A.J. Jacobs. As far as magazine writers go, he’s one of the best. I first became aware of A.J. 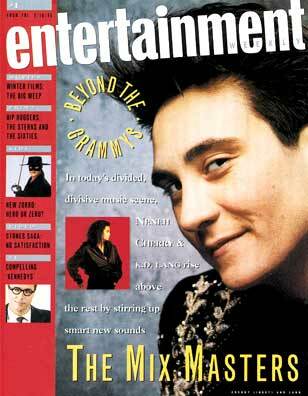 when he was a writer for Entertainment Weekly. A.J. would write some of the funniest articles EW published, including one where he spent, if I remember correctly, 24 hours watching TV and documented the experience. (Something like that.) Long story short, when I went for a job interview at EW in the summer of 1996, part of my excitement came from the fact that I might get the chance to meet A.J. On my way out of the office, after blowing my chance to work for my favorite magazine (one of the worst job interviews I’ve ever given), I passed by his office. The door was closed. Oh well. Anyway, A.J.’s at it again. According to CNet, he’s written a story about Wikipedia, the online encyclopedia that invites readers to post entries and edit others. Call it “the people’s encyclopedia.” Essentially, since the theory is that the Wikipedia readers can collectively rid the site of errors better than a small group of editors could, A.J. thought he’d put his story — which intentionally included a bunch of mistakes about the site — on Wikipedia and see what happened. Brilliant. I love it. This is classic A.J. Jacobs. The story is going to appear in Esquire‘s December issue. You can get a good idea of its final version by clicking here. Good stuff. Check it out. And hey, help a brother out by buying his book next time you’re in your favorite book store.